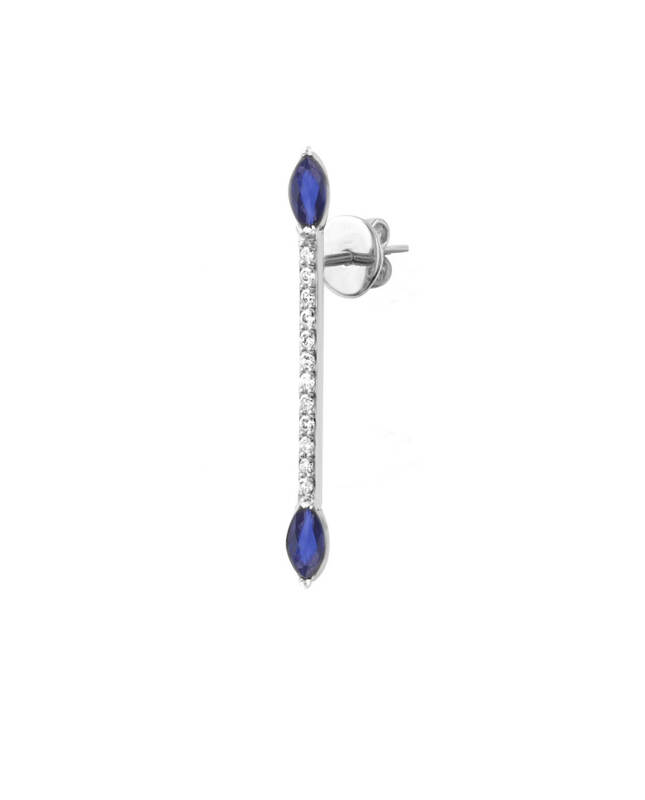 This ear bar is the new fashion statement. Made to mix and match, this minimal and colorful single piece is the signature for a young and sleek style. Entirely handmade in 18-carat gold, we offer a variety of 3 gemstones: ruby, emerald and blue sapphire.